For this group, France has been qualified and Peru is already out. No result of these last matches matters anymore more both of them. So, these last match is all about Australia and Denmark. Denmark has to force at least a draw to qualified without any interference from Australia’s match. If Denmark lost and Australia win, they both have 4 points. Then the next qualifying parameters would be the net goal or goal differences (scored goal less goal surrendered), i,e. : Denmark lost 1-0, Australia wins 2-0, then Australia through. (because the net goals for Australia would be 1 (scored 4 goals, surrendered 3 goals), while Denmark net goal is 0 (scored 2, surrendered 2). If the score between Russia v Denmark is 1-0 and Australia v Peru 1-0, both countries have the same net goal. Now, the next qualifying parameter would be how many goals scored. In this case 3 for Australia and 2 for Denmark. Then Australia will qualify. Therefore the third requirement for Australia to go through is that France beat Denmark more than 1-0, otherwise Australia have to win more than 1-0. FIFA anticipate this kind of “problem” by doing concurrent match, i.e both matches are happening at the same times to prevent anybody got over advantages or disadvantages. 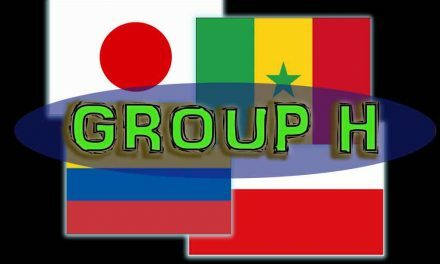 While group A and B were easy to determine, this is the first group in World Cup 2018 that has a bit of excitement and complication. 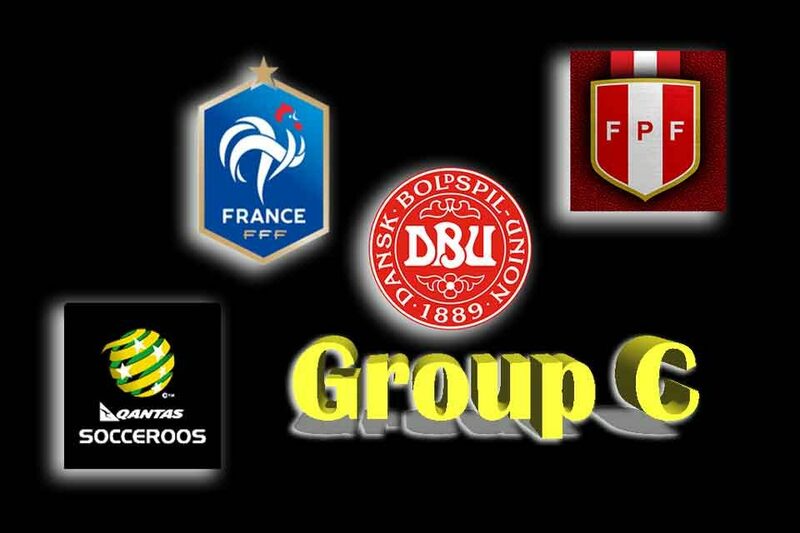 1st group matches highlight from group C.
They are NATO buddy, EU friends and both dislike Australia fiddling around with their Eurovision singing contest! Since 2001, France met Denmark 5 times and France win 4 of them, and all 4 were friendly matches. But 1 loss over Denmark was a 0-2 defeat at 2002 world cup. Is tonite is a revenge time? I would reckon the only significant reason for France not to lose (draw is okay) is to top Group C, so they do not need to fight scary Croatia there. “Give me Argentina anytime…” wait, Argentina probably not make it. Even better, voila! Denmark on the other hand, they need to push a draw so that Australi’s matches won’t matter for them. Christian Eriksen, the main engine for Denmark, is in a good form after scoring a goal vs Australia. But with the draw result against underdog Australia, Denmark has proven that their attacking team does not really have a good bite at the moment. One goal against Peru and one goal against Australia. So, in this aspect, France defence would be to tough for Denmark to punch through. ANd consider all of that, plus I am Australian, the French will beat the Danish. 2-0 for Les Bleus. French and Denmark just play exercise match. With France already qualified and rested all their core player, Denmark who just need a draw also don’t mind to just relax a bit to force a draw. It was a dull game as this is the only goalless 0-0 game in the world cup 2018.! France dominated the ball possession (62%) and got double attack attemp, just cannot made any goal. Peru’s return after 36 years has already won some credits. Their performance in this tournament, although both lost, has shown the world that they can play good football. Hold down France 0-1 was already a good achievement. But one suggestion if I may please, lose the sash from your kit, please… Very annoying – for me. Of course, they can try to have their first win in a world cup, but Australia defenders should be able to prevail. Australia with a must-win match will throw all they have. Even here in Australia who don’t usually watch or even care about football will be jam all the pub in the middle of the week to support their Socceroos. We Aussie just loves our man or woman representing our nation which is girt by sea! The grandfather of Australian football, the legendary Tim “Benjamin Button” Cahill, will likely to play. Not only for the tactical strategy but also a demand that non-negotiable from all Aussie in the country. Tim will play or we will chance coach… that’s probably the message. So, with Arzani, Jedinak and Cahil in play, a win against Peru is not really impossible. Remember, need to win more than 1, if possible. And just hope the big brother France took care of the Australian by beating Denmark. A 3-0 win for the Australian. Peru gave their all to not go home without a win, while Australia disappoints. Australia dominates the ball possessions 53%-47% and do more than 3 times attack attempt toward Peru as Australia need to win provided Denmark lost to France. Equipped with all the star they have, Time Cahill, Daniel Arzani and Captain Mile Jedinak but it wasn’t enough for Australia to score even 1 goal. Peru lead early at 18′ to increase pressure to Australia. Peru captain Paolo Guerrero commit an attack on the left side of Australia penalty area, against 6 Australian defenders(! ), he made a sudden crossing to Andre Carrillo all the way to the other end on the right of the penalty area who immediately kick a fastball to pierce Australian goal. 1.0 for Peru. And the captain is at it again when at 50′ freely kick a goal surrounded by chaotic Australian defence. It is so obvious the Australian did not really marking the opponent and probably playing some kind of weird zone defence that allows all the striker is moving easily and freely on both goals. The group C’s standing after the last group matches. Australia and Peru went home, while France tops the group and Denmark is the runner-up. France will meet Argentina in the Top-16 match, while Denmark will battle against Croatia. Cheaper To Buy Than Rent: Property At Its Low !